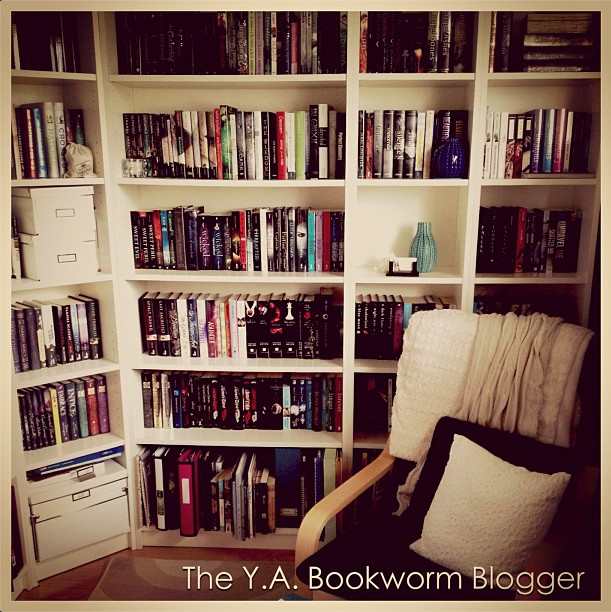 This fortnight's booktuber/blogger is Caitlin from The Y.A. Bookworm. Caitlin's blog is one I check everyday for updates and her addition to booktube recently has made me love her content even more. She's brings a fresh bubbly personality to her reviews, blogposts and videos which I find uplifting and fun to watch. 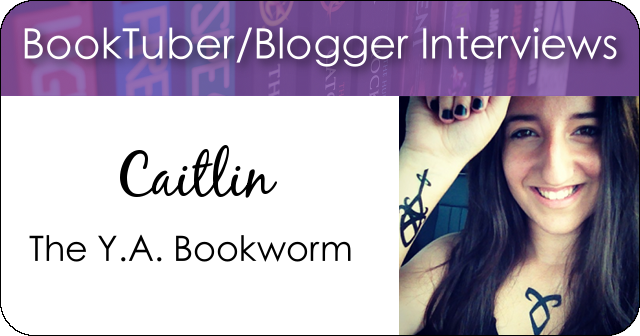 Here's Caitlin's answers to the BookTuber/Blogger Interview Questions. Enjoy. My name is Caitlin, I’m seventeen years old and run a booktube channel I started earlier this year. I post a variety of videos on my channel; hauls, reviews, wrap ups, tags, and many more! I've also got some series and discussion videos planned for the future! I read a wide variety of novels within Young Adult and New Adult fiction. Out of all the books I read though, romance (or books with strong romantic pairings) are my favourite kinds of reads….A book that makes me swoon is a book worth reading in my opinion, haha! If you can’t already guess, it would be romance, romance, and more romance! There’s something just so addicting about rooting for the perfect couple to make it out with a happily ever after….I also think romance adds lots of depth to a story. It allows readers the opportunity to see a more intimate and vulnerable side of characters that you may not have been exposed to without it! The moment that stands out to me the most would definitely be reaching 1000 subscribers! I never thought that I would receive such a welcoming response from the community, and it was kind of overwhelming to see that so many people cared enough to hit that subscribe button! 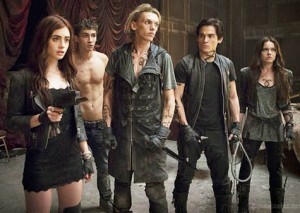 I wish I could hug every single one of them! I store my books in my library (AKA, the spare bedroom in my house that we converted into a mini bookshelf heaven). As for how many books I own, let’s just say that if I didn’t have a room to store them in, I’d be living under piles of books (…which now that I think about it, doesn’t sound so bad)! I usually read either in my bed or in my library. I consider my library to be my dream reading place, so if your interested in what it looks like, I’ve included an image and you can see my full tour, here! When I’m not busy filming/editing/writing, you’ll see me visiting epicreads.com, mundiemoms.blogspot.ca, and any and all BookTube videos that appear on my feed. I also love watching beauty gurus…two of my favs are missglamorazzi and essiebutton! Thank-you so much for having me on your site Samantha! These were so much fun to answer! 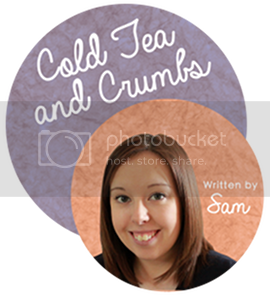 Thanks Caitlin for taking part in my BookTuber/Book Blogger series.